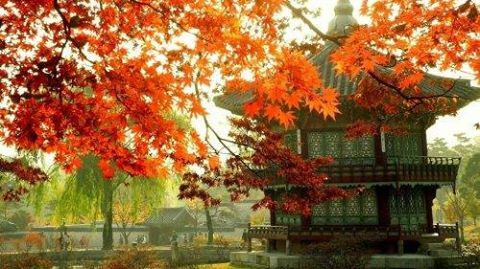 Delta is showing flights from Edmonton to Seoul, South Korea for just $698 CAD roundtrip including taxes. 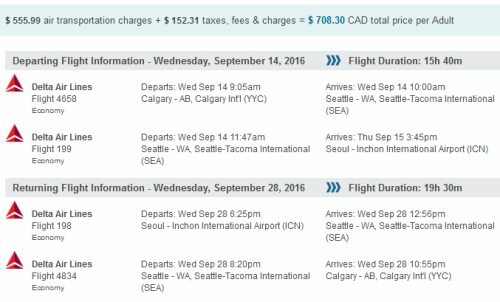 This is 38% below the typical best roundtrip price from Edmonton to South Korea. The flights have only 1 stop each way, in Seattle. You can also try starting with this direct search link on ITravel2000. NOTE: I have seen examples of certain date combinations not coming up with the cheap price on Flight Network, but coming up on ITravel2000, or vice versa. It's worth searching both. For Seoul, be sure to use ICN airport, not GMP, when you search. and return on a Tue or Wed.
edmonton, yeg, flight deals, delta, asia, east asia, seoul, south korea and icn.